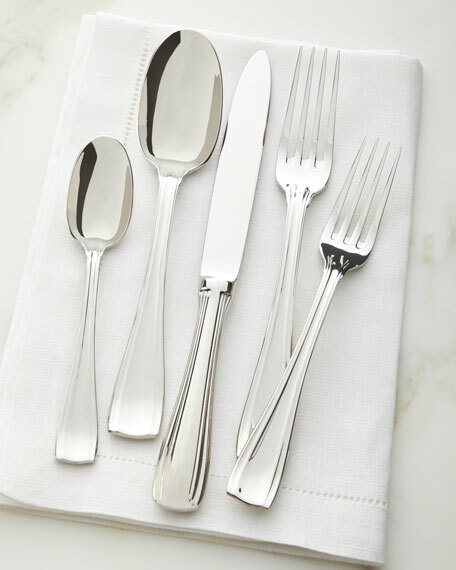 45-piece flatware set forged of 18/10 stainless steel. 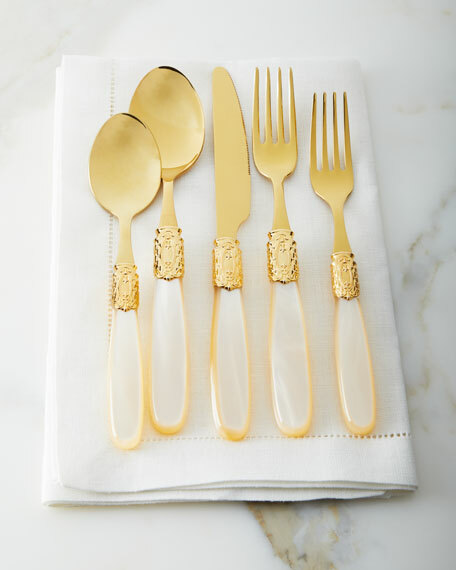 Includes: five-piece place setting for eight and five-piece hostess set. 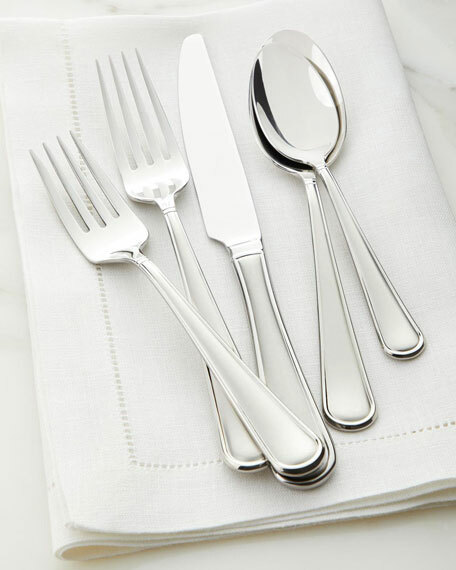 Flatware made of 18/10 stainless steel. 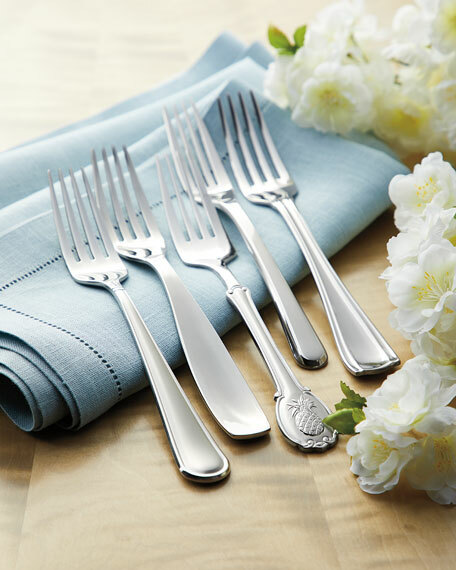 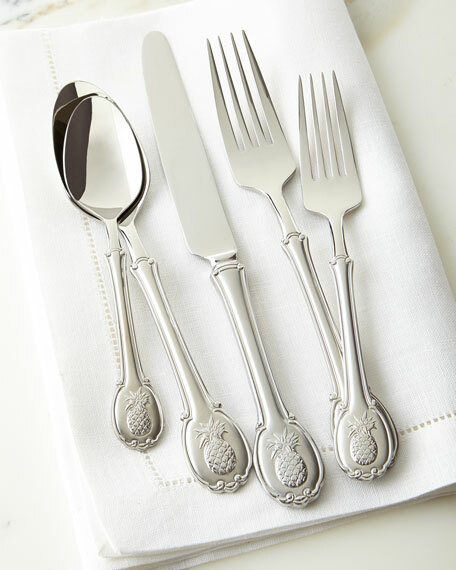 20-piece service includes four each of: dinner forks, salad forks, dinner knives, teaspoons, and tablespoons. 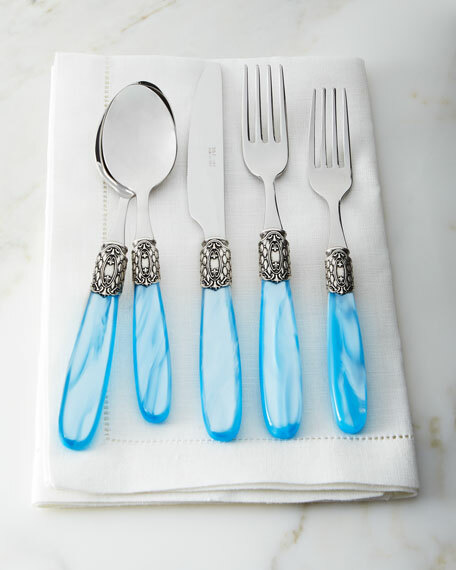 Frosted handles with part glossy/part matte finish.Dishwasher safe.Imported.